Yes, we’re aware of what the glassware is for, and we’ll allow you to make your own 420 jokes. But the thing is, form is just as important as function for many of our voters, who appreciate the local and regionally made glass pipes, slides and tubes at Green House Glass. 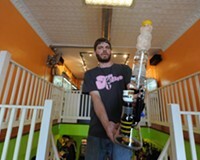 “Occasionally we will have a glassblower on staff, and that’s nice,” says owner Rick Desulis, who opened his shop in 2010. 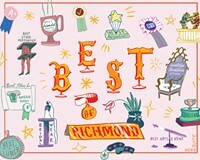 But most of the time, he buys his wares from outside artists who live in and around Richmond, like Chris Morris, who builds colorful and durable pipes. “I think people around here want something to hold onto,” Desulis says. In the next few months, stay tuned for in-store artist visits. 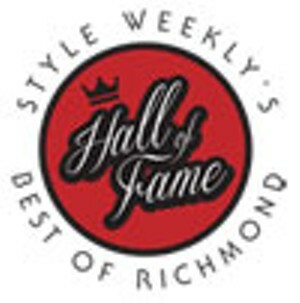 Hall of Fame winner Kulture has four stores, including one with a glassblowing studio in Shockoe Bottom.